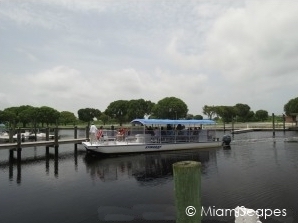 The Everglades at Flamingo are somewhat out of the way, literally at the end of the road, Flamingo is the gateway to Florida Bay, where the River of Grass meets the waters of the Ocean. 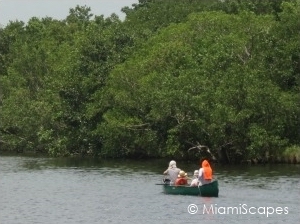 The shallows of Florida Bay are a huge area that make up a third of Everglades National Park, so seeing this section of the park will be naturally best from the water. If you venture out in the Bay, dolphin sightings are also common. 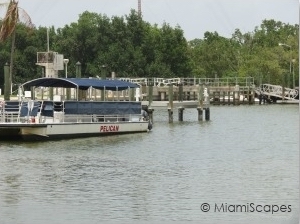 Boat tours are offered from the concession facilities at the Visitor Center. During the dry season is when you see wading birds in abundance, the beautiful roseate spoonbills and endangered wood storks, nesting ospreys, and yes, even flamingos in the wild. There are many spots and trails along the road that brings you to Flamingo where you can stop to have a look. These are some of the popular spots along the 35-mile road for you to check out. 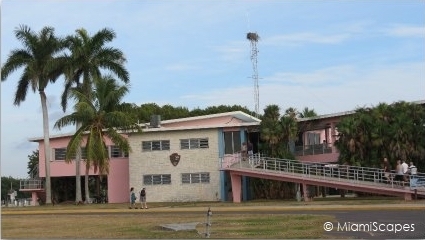 The Flamingo Visitor Center is the pink building at one end of the parking lot facing the Bay. 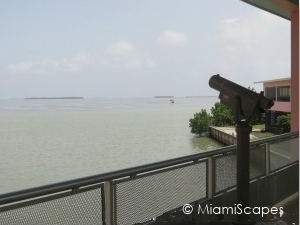 It is worth a visit just for the great views from the outside viewing walkway into the Florida Bay and the islands. Here at the Visitor Center you can pick up trail maps and brochures. If you are heading out the Bay, make sure you get the latest tide and wind conditions. This is also where you get backcountry permits. During the summer, which is the low season, not all the facilities will be open. The store, marina and concessioner that runs the boat tours are under separate management and normally open year-round. Canoeing and Kayaking are some of the prime activities of the area and definitely one of the best ways to enjoy and get up close to all this nature. 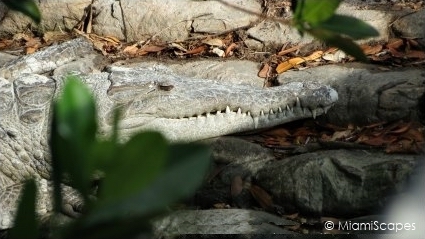 There are numerous trails that can take you on a short outing easy for any beginner to enjoy along the mangrove swamps. If heading into the open waters of the bay, make sure to check conditions which can be rough when it's too windy. 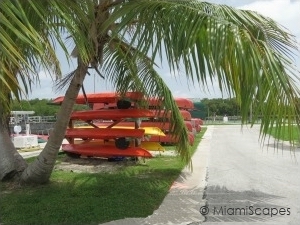 You can either bring your own kayak or canoe or rent from the concessions at the Marina. There are single kayaks, double kayaks, and canoes. Rentals start at $20 for a 2-hour canoe rental. For more info on rates contact the Flamingo Concessions directly. 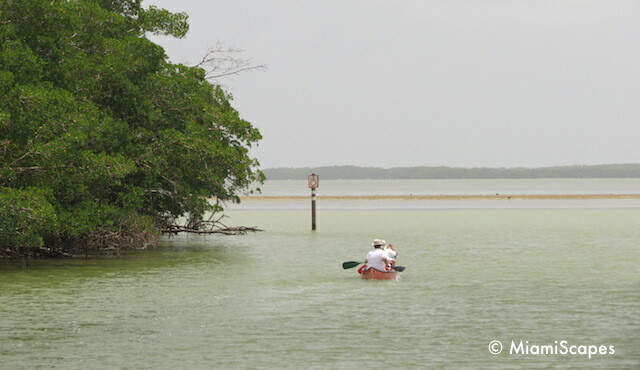 For the real paddlers and enthusiasts, there are day trips and even multi-day treks and of course, there is the Wilderness Waterway, the 99-mile trail that brings you through the 10,000 Islands to the Gulf Coast Center in Everglades City. A Wilderness adventure will require some planning and a permit which you can get at the Visitor Center. 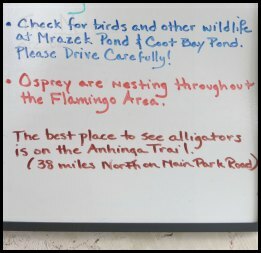 Normally accompanied by a ranger or naturalist, it is a great way to see some wildlife and learn about the ecosystems and different habitats in the Everglades. Bikes are available for rental at the Marina Concessions. Rates start at $10 - $15 for 2 hours. There are adult and children bikes available. Remember that all under 16 must wear a helmet as per Florida Law. There is excellent fishing in the Flamingo and Florida Bay area: tarpon, snook, red fish, sea trout, snapper, black trout, shark and more. 40 HP 15 foot Fishing Skiffs are available for rent at the Marina. Rates start at $80 for 2 hours. Navigating in the waters of Florida Bay could be treacherous. The bay is 3 feet deep on average, but there are thousands of basins interspersed with shallow bays and winding channels which are not always marked. The chance of running aground if you don't know your craft, the area, and the conditions is greater than in normal circumstances, which could cause immesurable damage to the ecosystem and seagrass habitat of Florida Bay. Know how to "read the water"
This are all signs you are in shallow water: water looks brown, you see mangrove seedlings sticking out of the water, wading birds are nearby. The campground at Flamingo is in a prime location in the waterfront near the Flamingo Visitor Center. There are a total of 278 sites and reservations can be made in advance (and highly recommended during the busy times in the winter months). Campsites are available for tents as well as RVs and the ammenities include ample and clean washrooms with solar-heated showers, picnic tables and barbeque grills. 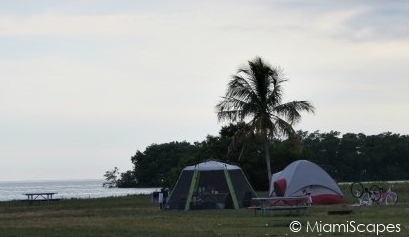 Best time to camp at Flamingo, and the Everglades in general, is during the winter and drier months. This is when you see wildlife in abundance. Avoid the summer months, besides the heat and humidity which might be uncomfortable, you have the mosquitoes to contend to, they can be vicious and quite unpleasant. Also make sure you stock up with everything you will need during your stay. The Flamingo outpost is located about 40 miles from the main Park entrance so it is quite a hike back to the grocery store if you forgot something. The only other place to get food and supplies is the little store at the Marina which carries a limited assortment. Visitor Center Hours: 8:00 am to 4:30 pm. 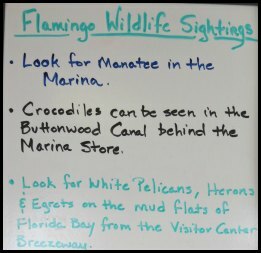 The Flamingo Visitor Center although open year-round is not staffed during the low season from May to November. Marina Hours: Mon - Fri 9 am to 7:00 pm. Open year-round. Park Entrance Fee: $30 per Vehicle, $25 motorcycle, $15 pedestrians (16+) or bicycles. The Park Fee is good for entrance into the Park at any of its other locations within 7 days. Annual pass is $55.